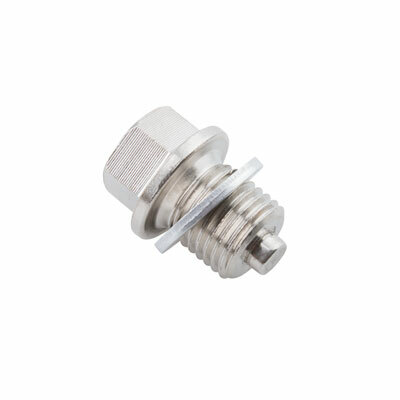 The Tusk magnetic drain bolt is a great way to help prolong engine life. This drain bolt is an O.E. replacement equipped with a strong magnet to catch and collect metal debris in the engine oil. The drain bolt comes complete with a new crush washer for a perfect seal. Each plug has a pre-drilled hole to use safety wire as an added security. Think Tusk when looking for quality parts and accessories for your motorcycle, ATV, and UTV. Pre-drilled hole for safety wire use.